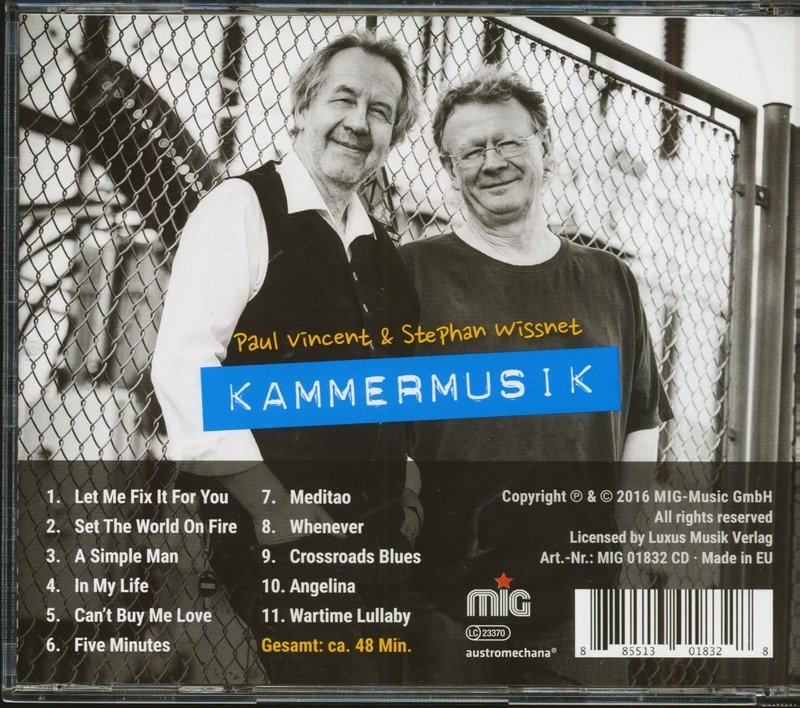 (Made In Germany Music) 11 Tracks - The exceptional guitarist Paul Vincent and his partner Stephan Wissnet play a lot of blues, gospels, ballads and songs from the good old days on their album ''Kammermusik''. The duo does without thundering drums, roaring rock bass and heavy guitar sounds, rather only guitar and bass are used. They garnish the whole thing with a lot of two-part vocals, and occasionally they add some percussion. That?s it! 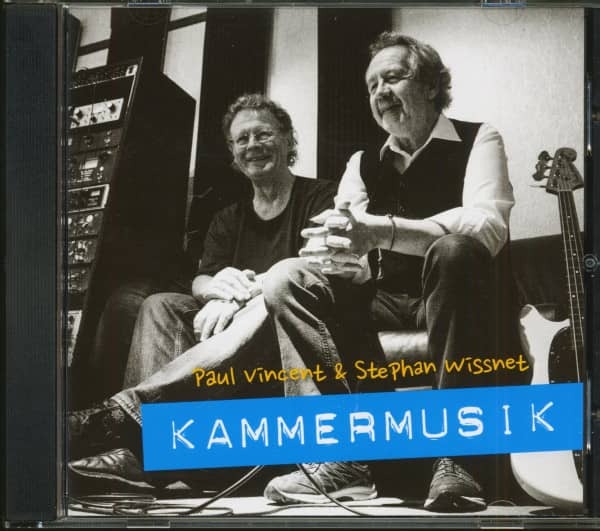 Paul Vincent has worked in the course of his career in the studio and live from Freddie Mercury and Sting via Meat Loaf, Gary Brooker and Udo Lindenberg to Stefan Waggershausen and Ulla Meinecke with many greats of rock and pop. He was also the producer, guitarist and co-author of Wolle Kriwanek for 28 years. 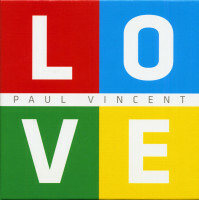 Since 2003 he has led his formation Vincent Rocks. Stephan Wissnet has worked as a sound engineer and bassist in the studio for Iron Maiden, Freddie Mercury, Queen, Spandau Ballet and Billy Squier, among others. In addition, he has been a bass player for the Peter Maffay Band for many years. Furthermore, Wissnet is one of the creative minds of the legendary Munich cult band Sahara. Customer evaluation for "Kammermusik (CD)"